You could be the most gifted trader on the planet with a trademark eye for theory openings, investments, or index funds, and still blow your record with one horrendous call without real risk management. Risk management is one of the key factors for success in the stock markets. You could be the most gifted trader on the planet with a trademark eye for theory openings, investments, or index funds, and still blow your record with one horrendous call without real risk management. 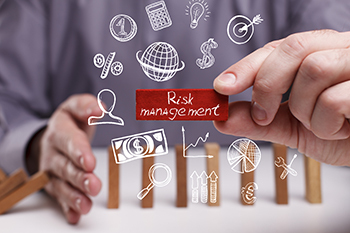 Why is risk management so objective, and in what manner may you induce it in your own specific strategies? Despite how awesome or experienced you are, you will face adversities while trading in the markets. In fact, even the best dealers on the planet persevere losing trades as it is a vital part of the trading experience. That is the reason risk management is so essential to your trading. Risk management rules are not hard to understand. Before learning about specific risk management frameworks, we should look at how basic money management is a critical aspect of a productive trading strategy. One of the least complicated ways to deal with money management is through a standard stop-loss process. Stop loss is used to decrease risk by closing a losing trade once the market moves past a trigger point set by you. Remember, each time a trade is made, a risk is acknowledged. You must have a workable and attempted system, know the market setup and be tireless. In order to avoid over-trading, execute only those trades that look superior-to-normal, and those that meet most of the parameters of your procedure. Trades lying out of this criteria will deplete the funds you earned on your good trades. Another important aspect of money management is diversification. Diversifying decreases the danger of losing all your money in a single trade. If half of your portfolio is in a single stock and the stock loses 50% of its value overnight, you lose 25% of your wealth. Not a good plan. On the contrary, if 5% of your portfolio was invested in the particular stock, and a similar situation occured, it would be a loss of 2.5%. Surely, it would be more easy to make 2.5% than it would be to make 25%. Therefore, having an effective money management plan will help you enjoy trading in today's volatile market scenarios.